Human rights commissions, as they are evolving, are an attack o-n our fundamental freedoms and the basic existence of a democratic society... 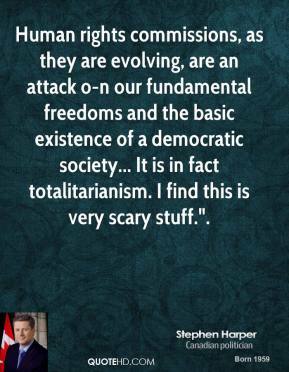 It is in fact totalitarianism. I find this is very scary stuff.". It's never enough to show the country what we are against. 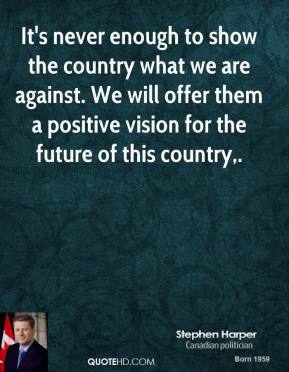 We will offer them a positive vision for the future of this country. 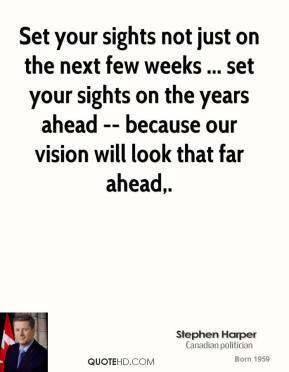 Set your sights not just on the next few weeks ... set your sights on the years ahead -- because our vision will look that far ahead. 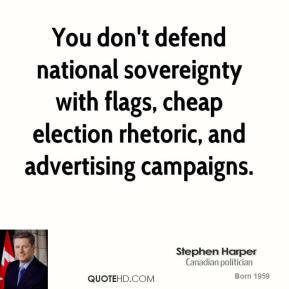 You don't defend national sovereignty with flags, cheap election rhetoric, and advertising campaigns. All too often we hear stories of veterans who are ignored or disrespected by government. 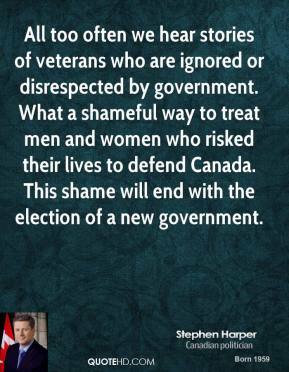 What a shameful way to treat men and women who risked their lives to defend Canada. This shame will end with the election of a new government.